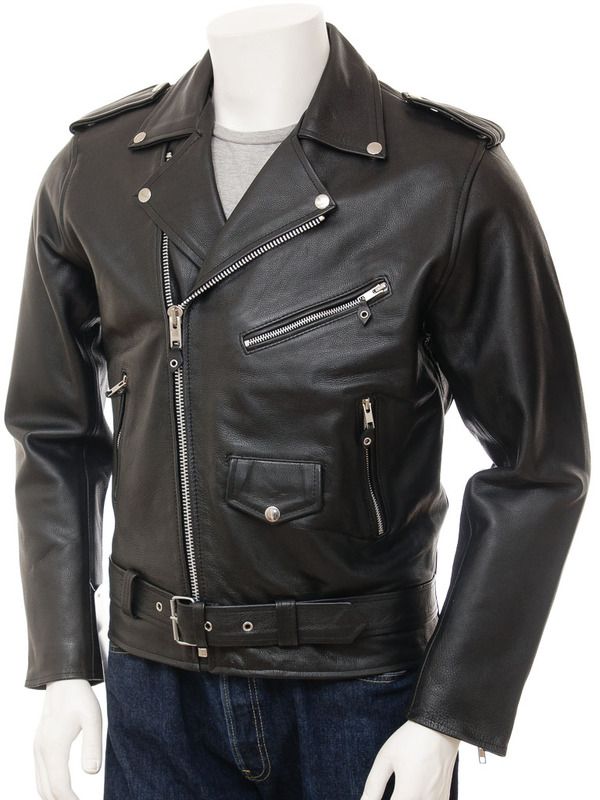 An ultra-rugged version of the classic Marlon Brando, black leather biker jacket in cow hide. 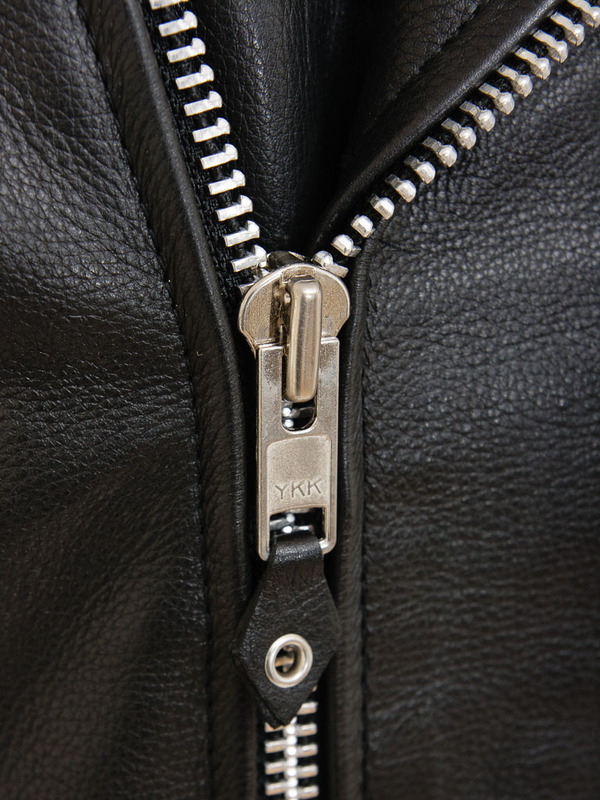 A chunky chromed, YKK zip angled asymmetrically across a double front to wide, notched lapels which fasten via studs to the body. 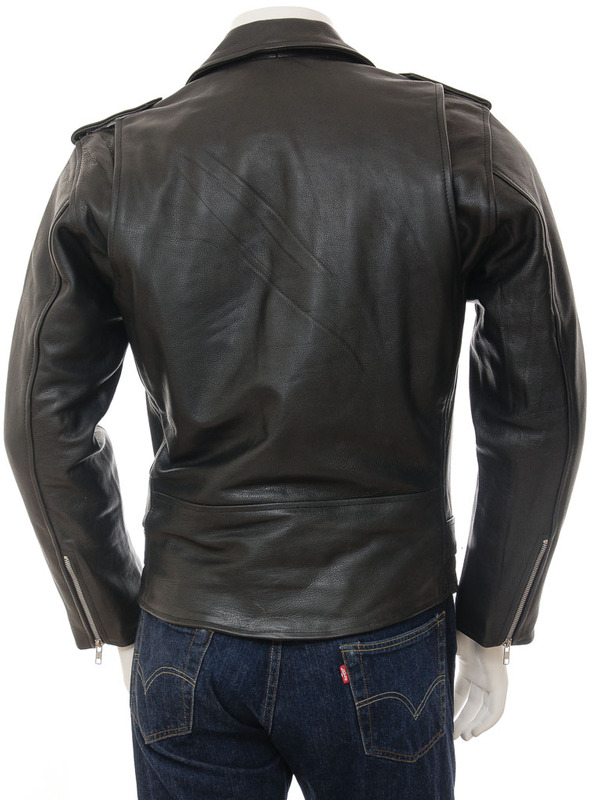 The shoulder epaulettes are also stud fastened and there are four working pockets on the front; three zipped plus the small change pocket. 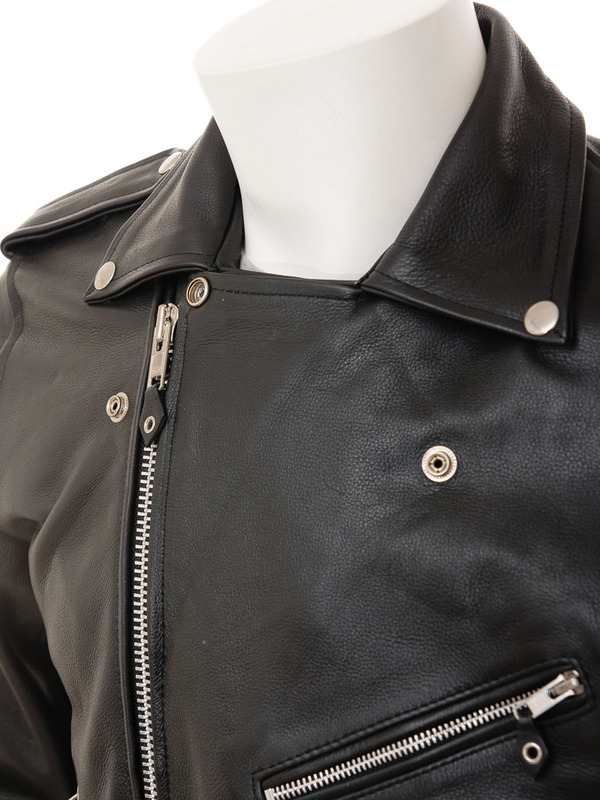 A strong buckled leather belt is attached at the side seams but helps to adjust the fit while the zip gauntlet cuffs allow the use of gloves while wearing. 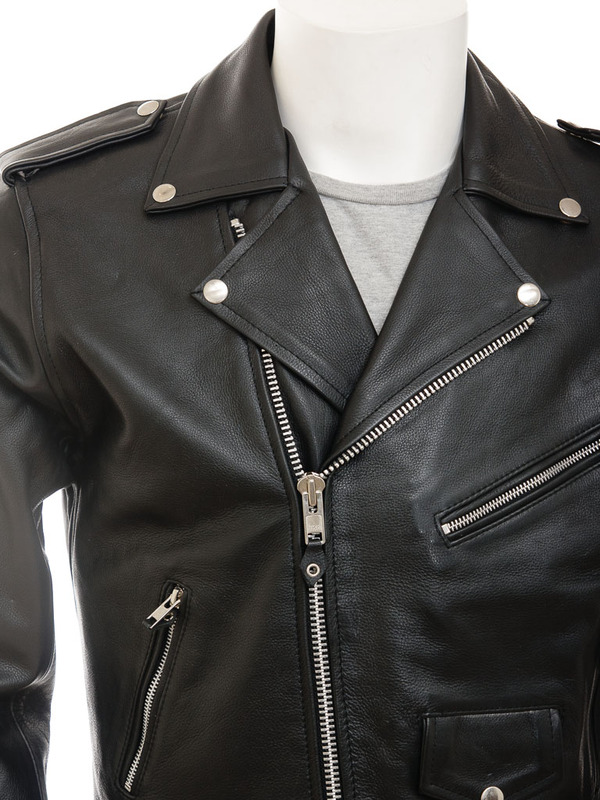 Inside you will find a black, quilted satin lining with a leather trimmed pocket.